We all eagerly awaited the announcement of the 2015/16 Premier League fixtures in June and as challenges go, don’t come much bigger than an opening day fixture against current Premier League holders Chelsea at Stamford Bridge! It’s been an interesting summer at the Liberty with some quality acquisitions in the shape of Andre Ayew, Eder, Kristoffer Nordfeldt and left-back Franck Tabanou – who impressed in the drab 0-0 draw with Deportivo La Coruna last week. For the first time since the Swans arrived in the Premier League, the squad now boasts quality in a number of departments – not to mention some much needed strength in depth. Whilst many fans are already getting carried away with where we’ll finish this term (i.e a top 4 finish), I see no reason not to be quietly optimistic about our chances of qualiyfing for the Europa League once again. 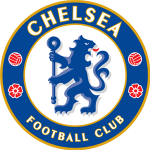 As for Mourinho’s men, well apart from the well documented departures of Petr Cech, Filipe Luis and Didier Drogba, Chelski have managed to not only keep their title-winning squad together, but boolster it with the signing of goalkeeper Asmir Begovic and Radamel Falcao on loan from Monaco. Both sides couldn’t have had a more contrasting pre-season with the Swans being unbeaten in their 5 games (W1 D4) and Chelsea winning only once in 5 outings (W1 D2 L2) – with their lack of prowess in front of goal well documented. In all fairness, the standard of opposition the Blues faced was considerably higher than that of the Swans opponents, not that anyone should take one jot of notice of pre-season results of course. History isn’t on the Swans side however, as Chelsea are unbeaten in their last 16 opening day fixtures and the reigning Premier League champions in general throughout the previous 23 Premier League seasons haven’t lost a game, having won 20 and drawn 3 of the opening day games. Not a good omen, but we all remember what happened at Old Trafford last year don’t we! However, with the Swans unlikely to park the preverbial bus this time around and be more attack minded, and with Chelsea (probably minus Diego Costa due to a hamstring injury) not firing on all cylinders, I fancy the Swans to take a share of the spoils on Saturday evening. Fabianski, Naughton, Williams (Capt), Fernandez, Taylor, Ki, Cork, Sigurdsson, Montero, Ayew, Gomis. Those of you who fancy a flutter might want to take advantage of some interesting odds being offered at the moment. Paddy Power are currently offering Bafetimbi Gomis at 11/1 to be first goalscorer and 5/1 for being first Swans goalscorer. They are also offering anyone who Bets £10 that they will Get £30 of FREE bets in return. Bet365 are offering the draw at 4/1 with both Andrew Ayew and Gylfi Sigurdsson down at 14/1 to score first. Don’t forget, if you’re going to the game then be sure to read our Travelling Jacks guide to Stamford Bridge.